Back in 1998, Rivers United goalkeeper, Rotimi Sunday, was in goal when Plateau United lost the then FA Cup, now Federation Cup to Wikki Tourists. 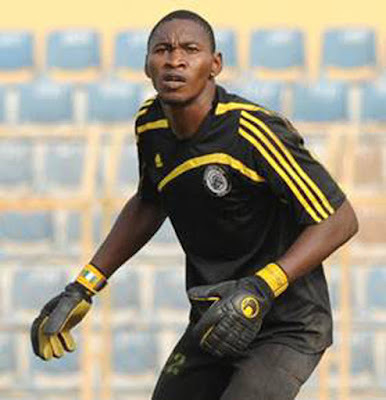 Fast forward to 2016, the league’s longest serving goalkeeper set a record as he didn’t concede a goal in 17 matches during the 2015/16 Nigeria Professional Football League (NPFL) season. Sunday continues to raise bar and remains one of the reasons why Rivers United have emerged as a force within a short time. “Hardwork and dedication has been my watch words”, he said to naijaleague.com.ng. Sunday is already looking ahead to the new season with optimism. “We’re going into the season with confidence because our pre-season has been fantastic. We won the Super Four and had a decent preparation in Spain”, Rotimi stated. Despite the arrival of Femi Thomas from Enyimba, Sunday looks good to retain his place in-between the sticks for the Port-Harcourt side.